Photo: I found a lovely 2010 St Emilion to have with dinner. 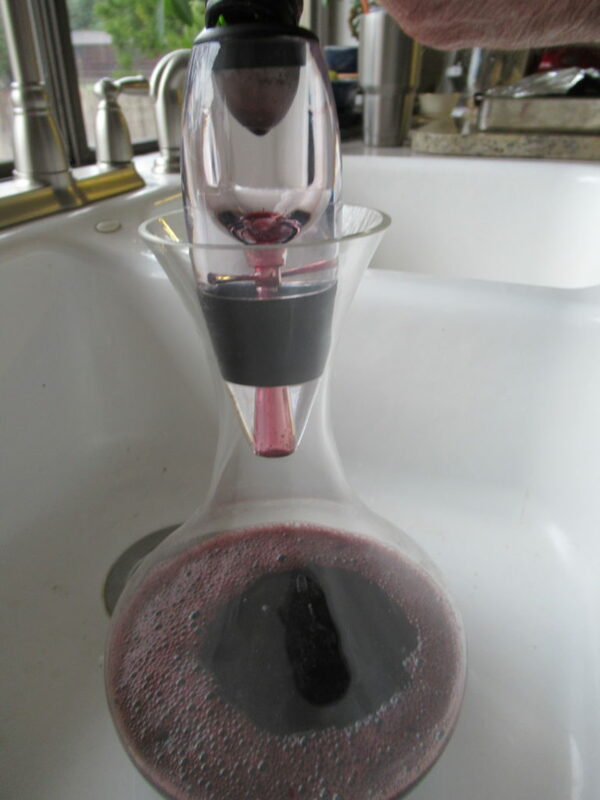 The cork broke during decanting.Hello decanter. 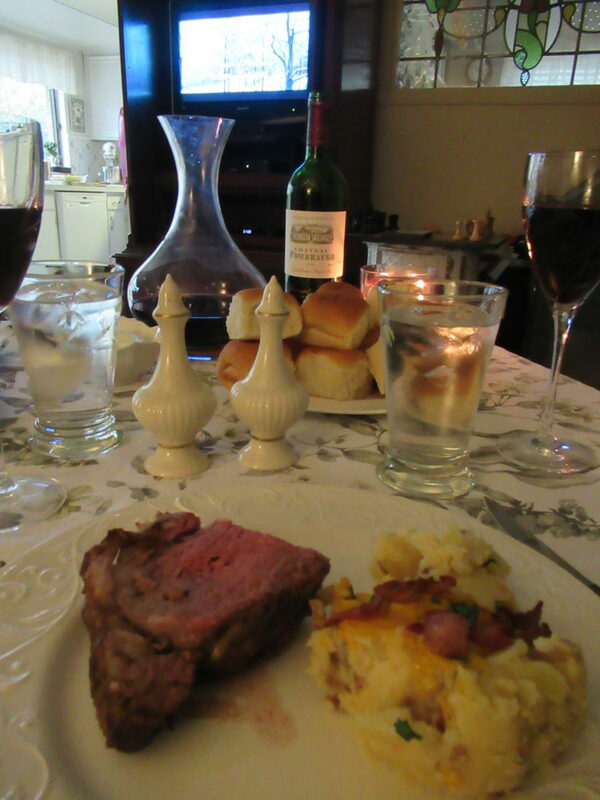 Photo: Standing Rib Roast and mashed potato casserole. 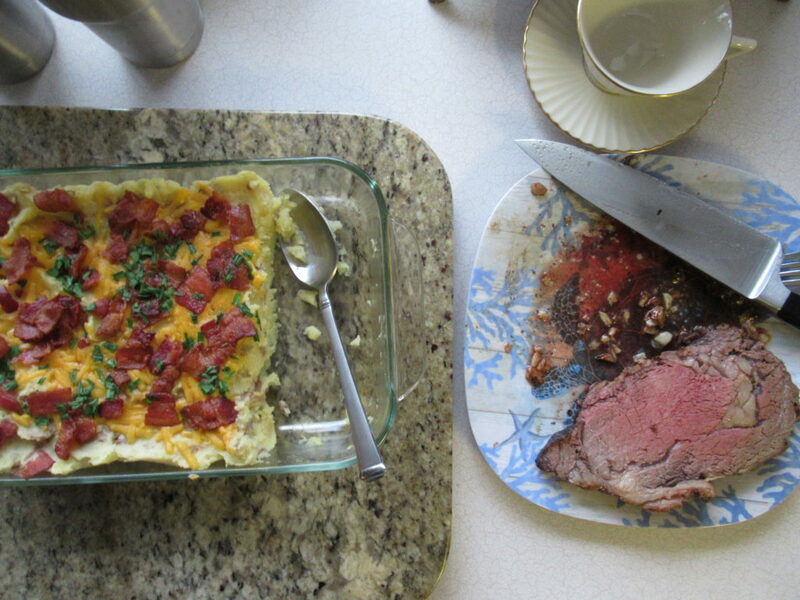 I made the roast, Larry made the potato casserole. 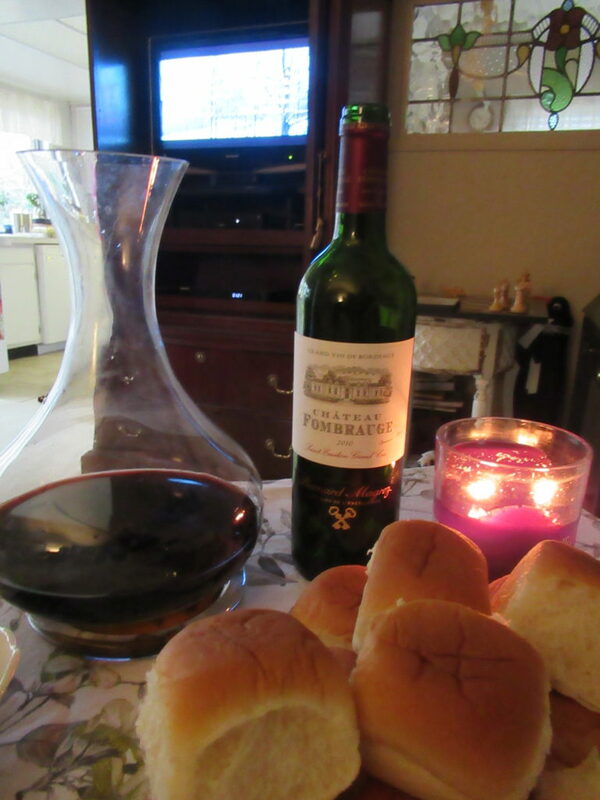 Photo: Wine and rolls. I picked out the wine. Larry craves Hawaiian rolls. 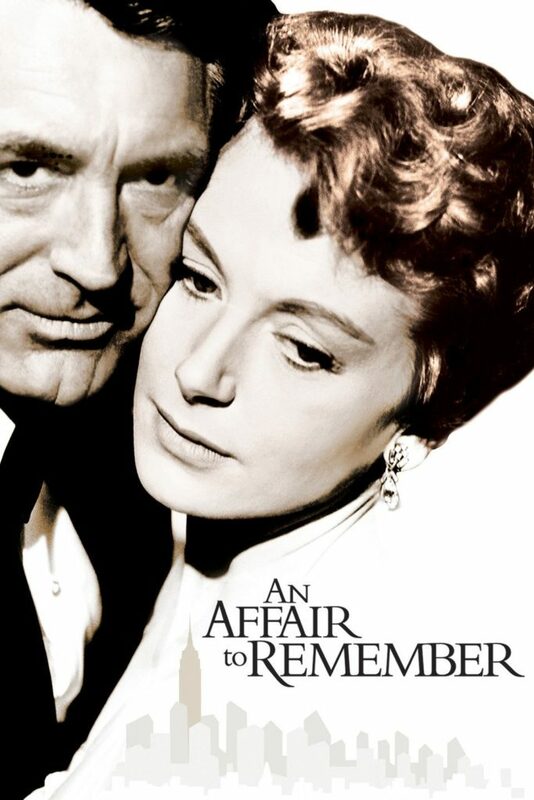 Photo: Dinner and movie. A Valentine celebration. Larry proposed 42 years ago, on Valentines Day. 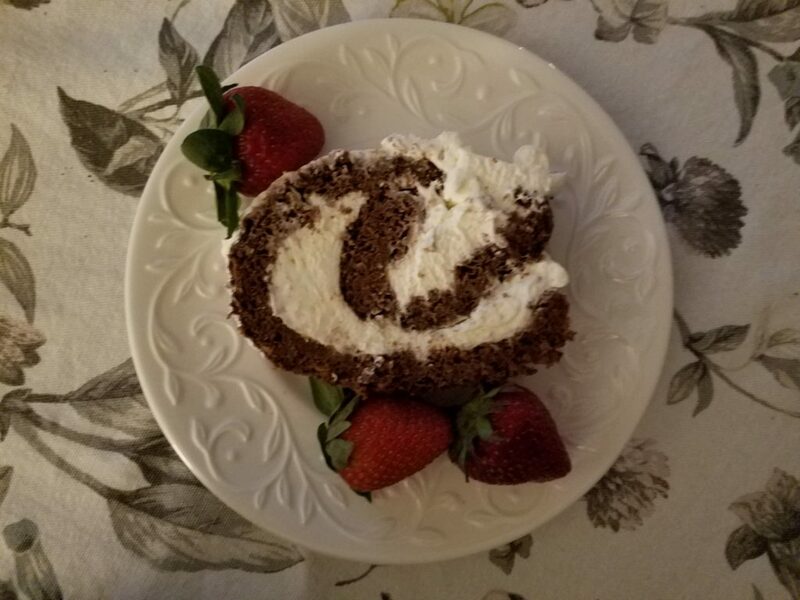 Photo: Chocolate roll cake with whipped cream and strawberries. A new recipe. It was amazing.